There is a very real chance that Curro School in Roodeplaat, north of Pretoria, could lose its licence following a second incident related to racial segregation. Video footage went viral yesterday, showing pupils from the school being racially separated during a field trip. This has once again left the school sitting on a knife-edge. afternoon indicating there was a chance that the school’s licence could be revoked. serious offender in “upholding racism”. He added that decisive action would therefore be taken. Lesufi’s visit to Curro came just less than a month after he found it guilty of racial segregation in a separate incident. In that incident, pupils were separated in the classroom based on their race. The school had acknowledged and apologised for this mistake. In explaining the latest incident, Curro Holdings spokesperson Gerhard Cloete said the reason for grouping pupils was because Curro schools offer all its pupils the choice of being taught in English or Afrikaans. But Lesufi deemed the “explanation” to be “disgusting” and an “insult to the the constitution”. 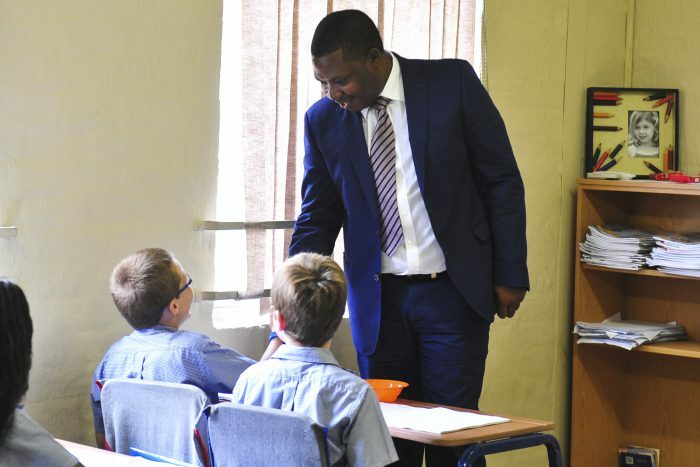 A team from the provincial department of education, under the instruction of Lesufi, compiled a report following these fresh allegations of racial segregation. “On the basis of the report, I’ve prepared a letter for Curro management. Because of the seriousness of the contents of that letter, I have to consult the ministry of basic education and the investors of Curro so they understand why I’ve taken the decision I have,” said Lesufi.